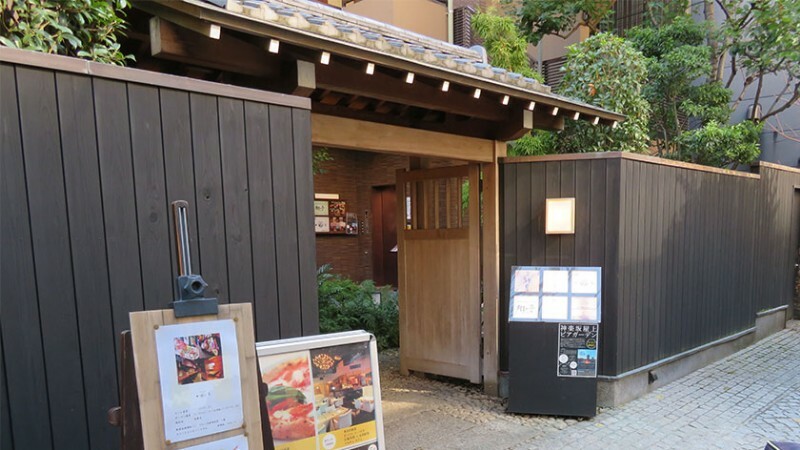 Known for its traditional atmosphere and haute cuisine, Kagurazaka offers a side of Tokyo often missed by tourists. 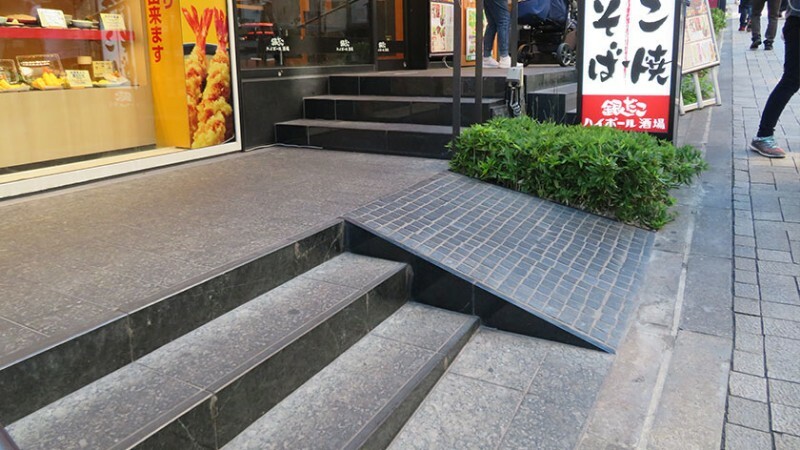 Visitors with mobility challenges should be ready to deal with a large hill and many inaccessible restaurants. 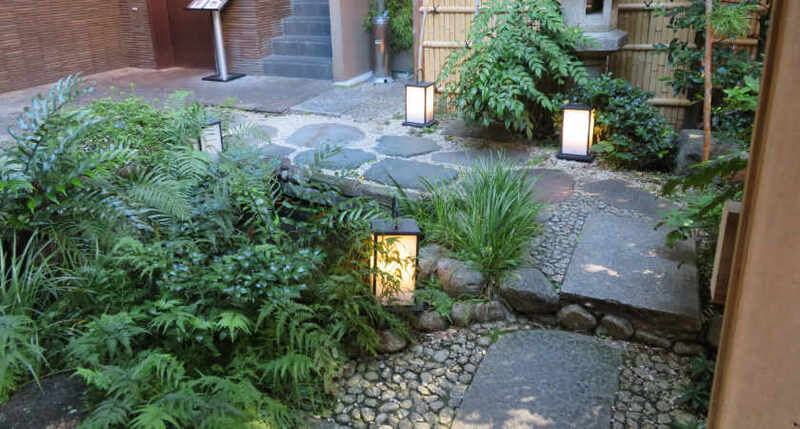 Kagurazaka has a long history and became very prosperous during the Edo Period. 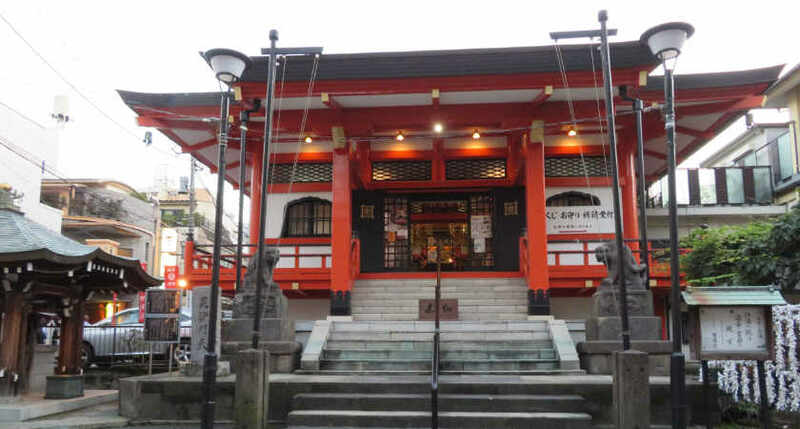 It was located just outside the main castle gates and numerous restaurants and geisha houses that entertained the wealthy. Many of the establishments are still operating to this day. Widely regarded as an important center of Japanese cuisine within the Kanto region, a number of famous ryotei restaurants are hidden away in the back streets. 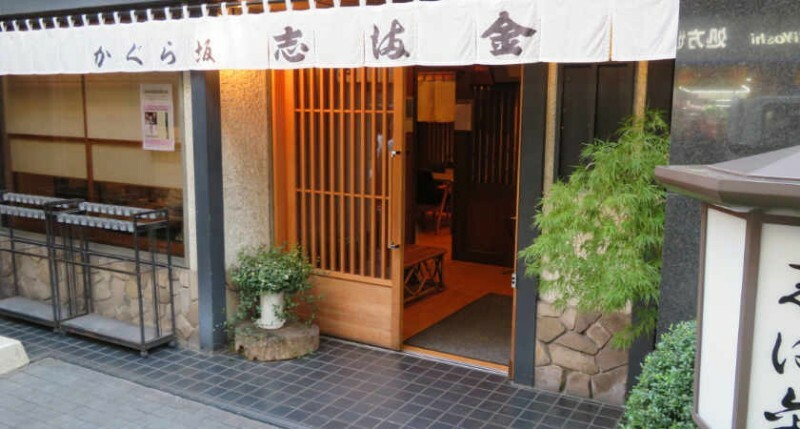 Ryotei serve expensive kaiseki cuisine, often regarded as the pinnacle of Japanese food. 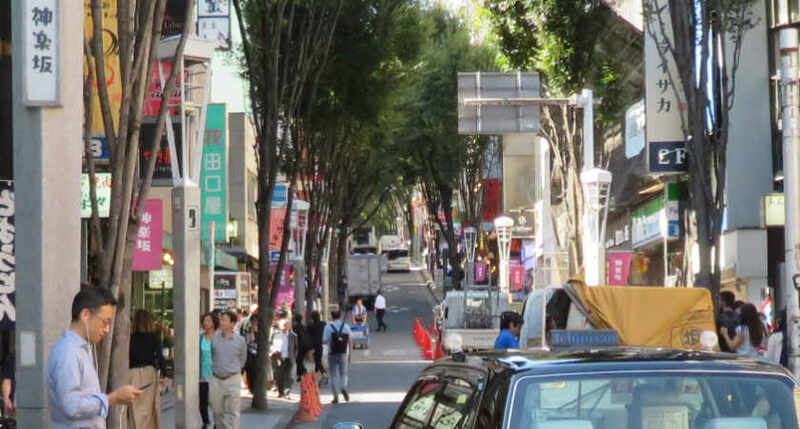 Adding to its upscale image, Kagurazaka also has a significant French expatriate presence due to two large French schools. 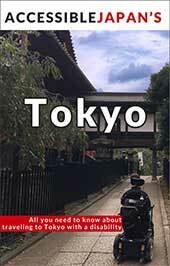 Tokyo’s largest concentration of French eateries, bakeries and cheese shops can be found in the area. 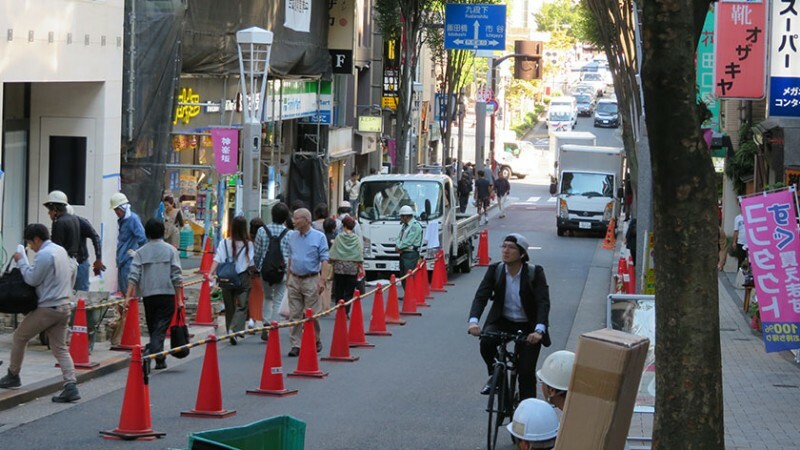 The main road is closed to car traffic daily from 12:00 to 13:00, and from 12:00 to 20:00 on Sundays and public holidays. 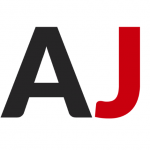 Kagurazaka can be reached from Iidabashi Station (JR Chuo Line, Oedo Line, Tozai Line, Yurakucho Line and Namboku subway lines) at the bottom of the hill. 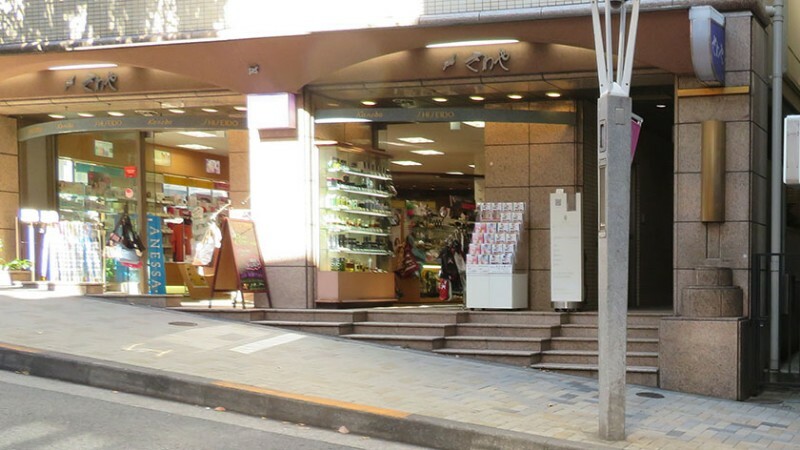 Alternatively, Ushigome-Kagurazaka Station (Oedo Subway Line) lies near the top of the hill. 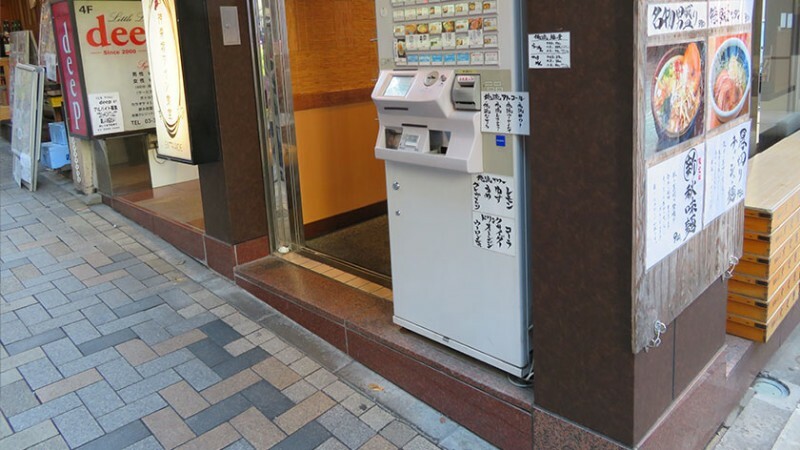 Both are wheelchair accessible but Iidabashi Station is closer. The zaka in Kagurazaka means hill/slope in Japanese and as the name implies, Kagurazaka is mostly centered on a large hill. This means that enjoying the area requires going up and down the hill. 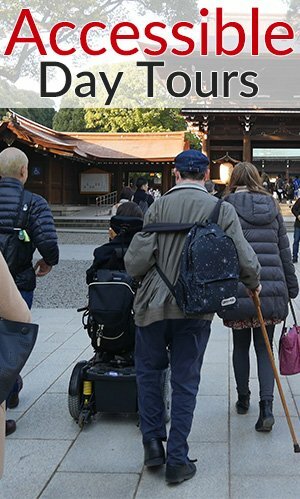 It is rather steep and those who use manual wheelchairs, rollators, or have general difficulty in going up inclines will have difficulties in the area – going both up and down. 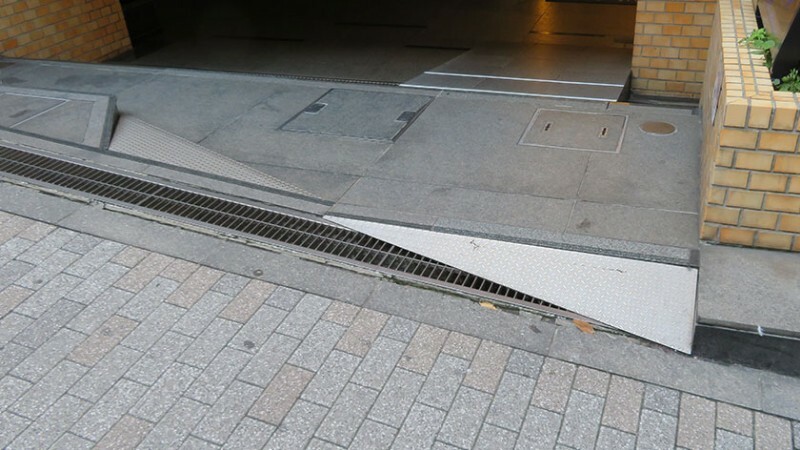 In addition to the difficulty in going up and down the street, since all of the stores are on an incline, there are a lot of uneven store entrances. Though it should be noted that a lot of the stores have made an effort to add slopes in one for or another. 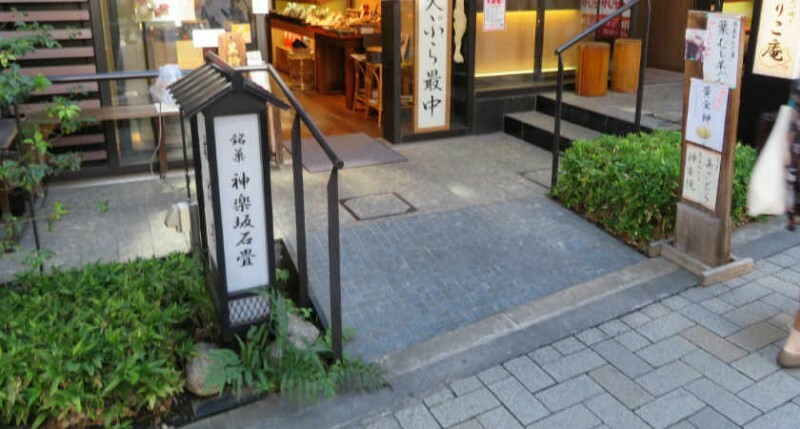 There are several side alleys, or “yokocho”, which have a very unique feel to them as they are lined with traditional Japanese restaurants. 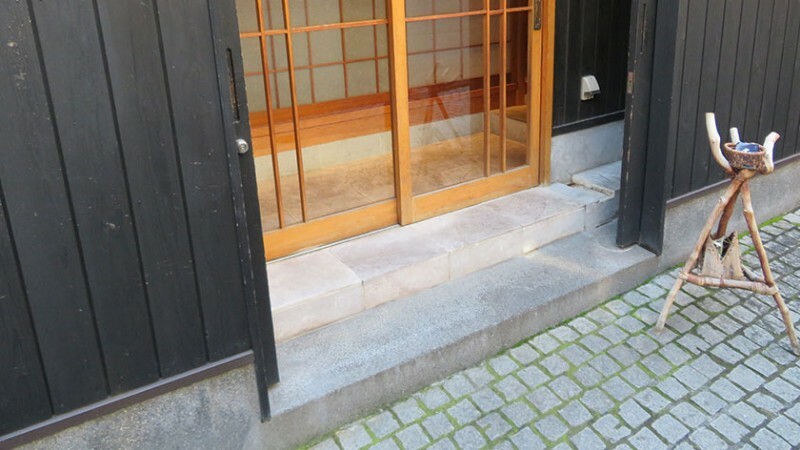 The ground is covered in stone blocks and can be a bit uncomfortable. 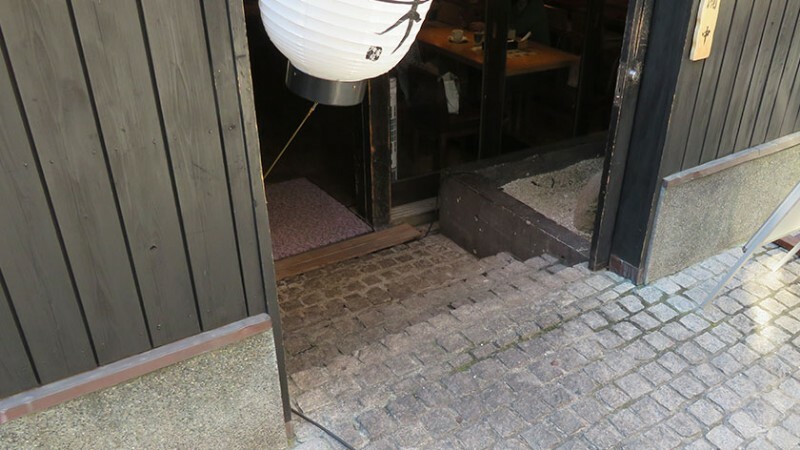 The traditional restaurants are mostly inaccessible as they have steps and bumpy paths. 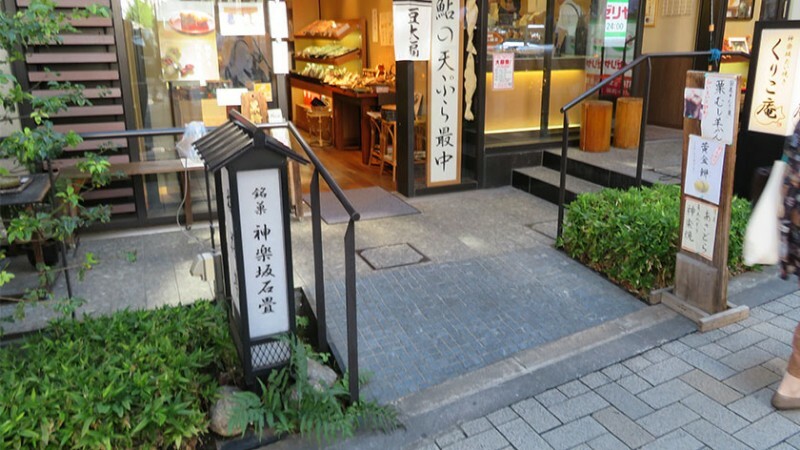 However, there are a few restaurants like Shimakin, which are easy to access even in a wheelchair. There are no public toilets easily found in the area, so it is best to use the bathrooms at the station. 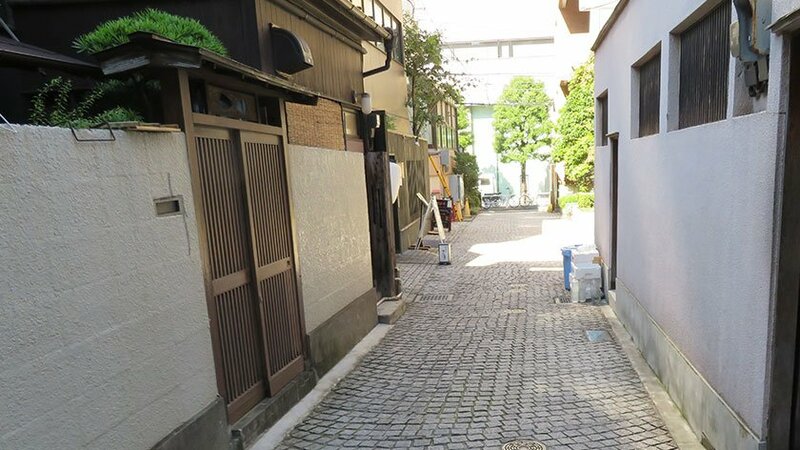 Kagurazaka is a great place to experience a lesser-known side of Tokyo, but one very rich in history and culture. 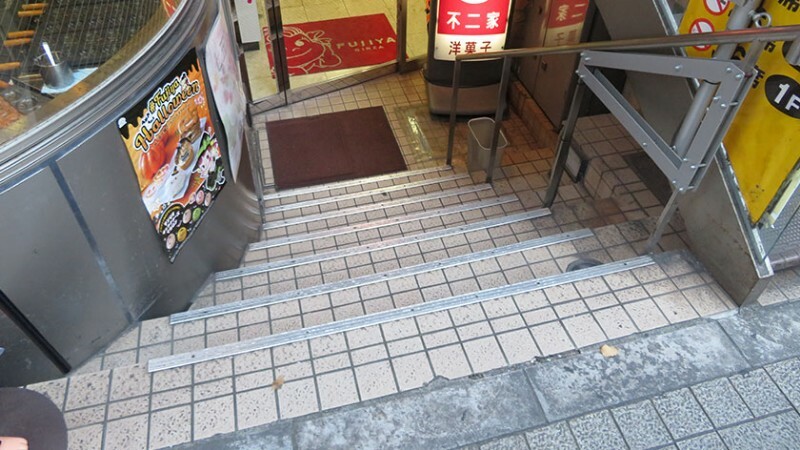 There are accessibility points to be aware of though, such as the steep hill and a large proportion of traditional restaurants which are inaccessible. However, there are still a number of bright points like the efforts being put in by local store owners to make their stores accessible. There are a number of alleyways that make for great picture opportunities as well. 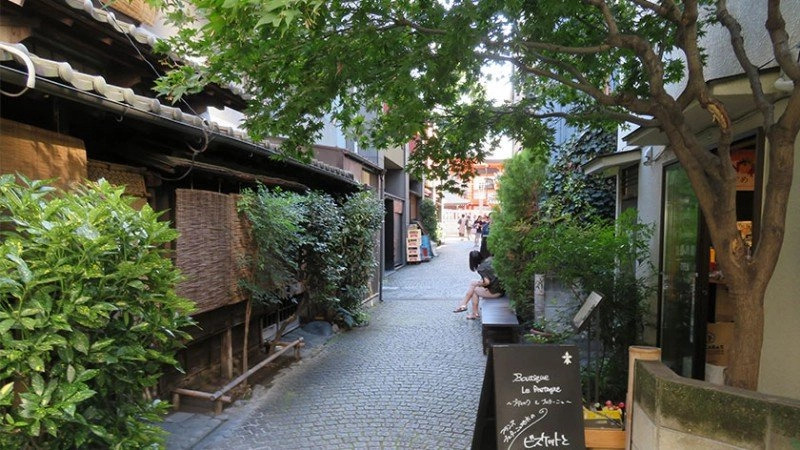 After you have seen Tokyo’s main attractions, Kagurazaka is a great place to visit. This topic contains 0 replies, has 1 voice, and was last updated by Accessible Japan 2 weeks, 1 day ago. 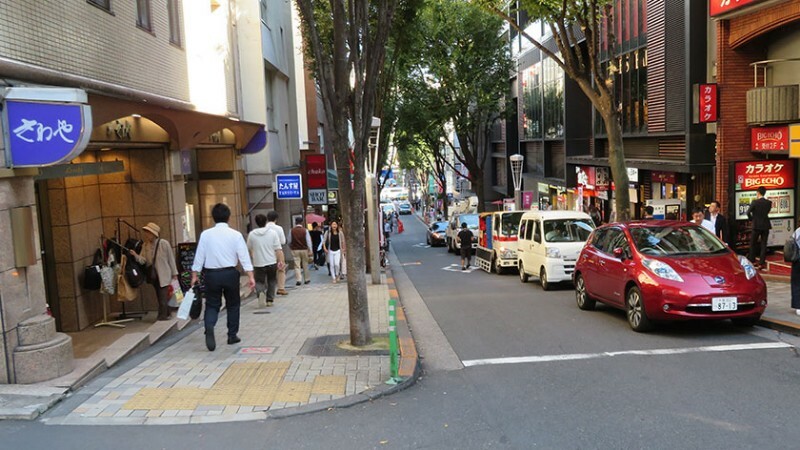 Leave your questions or comments about Kagurazaka here!